Melbourne creative agency Yoke is behind a new campaign from not-for-profit organisation Inner East Melbourne Medicare Local (IEMML). Designed to help and assist GPs and other heath care professionals in its catchment area, IEMML was looking for a campaign that covered a series of health messages under one banner. 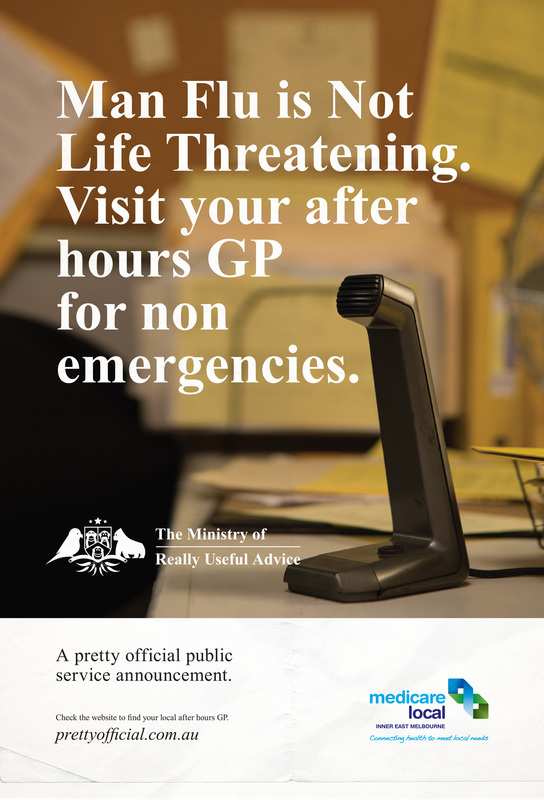 The result is a selection of pretty official public service announcements directly from the offices of some lesser known and slightly dubious looking ‘government departments’. Outdoor ad shells, digital bill board and cinema ads in IEMML’s local service areas kept the campaign targeted, while a selection of web films fed into an online and Facebook campaign.